UFC light heavyweight kingpin Jon Jones will be making a quick turnaround in order to defend his title at March’s UFC 235 event in Las Vegas. 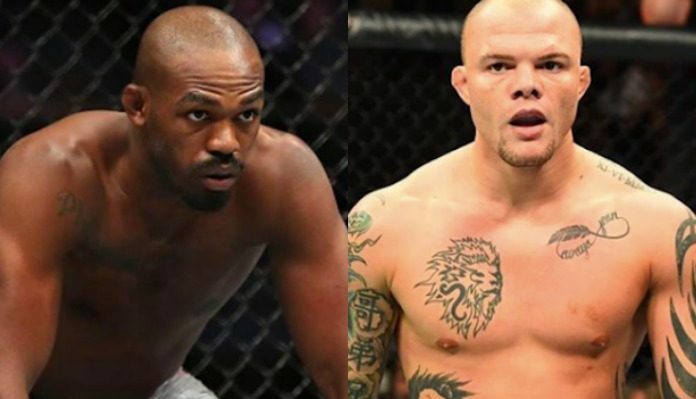 UFC President Dana White recently told TMZ Sports that a title fight between Jon Jones and Anthony Smith was in the works for March’s pay-per-view event. The proposed 205-pound title fight is contingent on Jones’s application of licensure being approved by the NSAC. That ruling is expected to come on January 29. “Bones” was most recently seen in the main event of UFC 232 in Los Angeles, where he picked up a third-round knockout victory over Alexander Gustafsson to reclaim his light heavyweight title. The 205-pound was recently made available, this after former “champ champ” Daniel Cormier had decided to vacate his title. Jon Jones now faces surging division contender Anthony Smith. “Lionheart” last competed at October’s UFC Fight Night event in Moncton, where he earned a third-round submission victory over former division title challenger Volkan Oezdemir. Prior to his impressive win over Oezdemir, Smith had picked up back-to-back first-round stoppage victories over former division champions Rashad Evans and Mauricio “Shogun” Rua. Earlier this evening the opening betting odds were released for the pending Jon Jones vs. Anthony Smith title fight at UFC 235. As per @BestFightOdds, oddsmakers aren’t exactly ruling out the possibility of an Anthony Smith upset. Jon Jones has opened as a -500 favorite, while Anthony Smith enters as the betting underdog at +350. UFC 235 takes place March 2 live from T-Mobile Arena in Las Vegas. In addition to Anthony Smith vs. Jon Jones, the fight card also features a welterweight title fight between reigning division champion Tyron Woodley and Kamaru Usman. 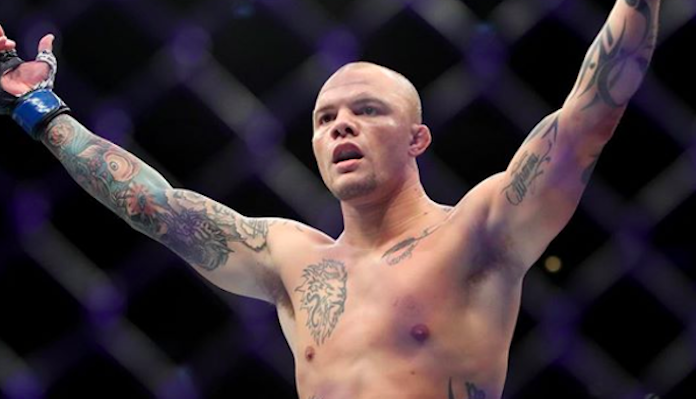 Do you think Anthony Smith is capable of dethroning Jon Jones at UFC 235? Sound off in the comments section PENN Nation!